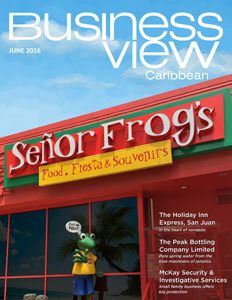 Business View Caribbean profiles JAMPRO , an agency of Jamaica’s Ministry of Economic Growth and Job Creation. Head office in Kingston, Jamaica. 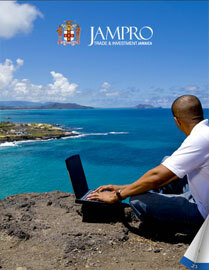 The Jamaica Promotions Corporation (JAMPRO) is an agency of Jamaica’s Ministry of Economic Growth and Job Creation. The Agency is charged with promoting business opportunities in export and investment to the local and international private sector. Today, a staff of 90 at JAMPRO is focused in three lead divisions. The Investment Promotion Division’s focus is to attract and facilitate investment. “And that means that we go out into international markets, target specific companies, and convince those companies to invest in Jamaica,” says Edwards. “We have two overseas offices that help us do this – one in Toronto and one in London – and they both cover large geographic areas. Their mission is to find investors in the specific sectors that we have identified where Jamaica has a competitive advantage.” Those sectors, according to Edwards, are tourism & agribusiness; knowledge services, including BPO, or Business Process Outsourcing (Jamaica currently has 18,000 BPO workers); manufacturing, mining, and energy; and logistics. JAMPRO’s Export and Market Development Division is focused on helping Jamaican exporters find new export markets as well exploit those undersupplied markets already identified. It organizes trade missions, promotes trade exhibition participation, and connects exporters with international buyers. It also provides market intelligence that helps exporters understand global market trends. In addition, the Division assists exporters with what is referred to as “capacity building” – the process by which people, organizations, and society systematically stimulate and develop their capability over time to achieve social and economic goals, through improvement of knowledge, skills, systems, and institutions. The Division also looks at the international rankings of Jamaica’s performance with a series of international reports such as the Global Competitiveness Report, the Doing Business Report of the World Bank, and various indices, such as the Logistics Performance Index. JAMPRO directly targets the components of those indices to see how Jamaica can improve its ranking, internationally. In order to fulfill its mission with its vast range of stakeholders, JAMPRO regularly collaborates with organizations whose own missions are closely aligned, including the Jamaica Exporters Association (JEA) and the Jamaica Chamber of Commerce (JCC), among others. Because it reports to the Ministry of Economic Growth and Job Creation, it also has weekly meetings with the Minister and his team. As Jamaica sits at the doorway to the newly expanded Panama Canal, it has been preparing for the possibility of becoming the fourth node of the global logistics framework, joining Rotterdam, Dubai, and Singapore. Key to that initiative is investment in the country’s infrastructure as it relates to logistics – the ability to get product to market quickly and efficiently. “Logistics is one of the critical areas of focus for JAMPRO,” Edwards states. “We have a department that is focused on logistics and attracting investments in this area, and we have made huge strides in this effort. For instance, there is a private company called Kingston Wharves that is developing its own logistics center on the private side of the wharf and has attracted quite a number of transshipment companies to operate through their enhanced facility. In addition, there is the public side of the wharf which was called Kingston Container Terminal, and which is now called Kingston/Freeport Terminal. That has been privatized through a concession agreement to CMA-CGM (a worldwide leading container shipping company) and Terminal Link (a port operator). In addition, we have interest from international companies in dry-docking, in ship provisioning, and in developing an LNG hub in Jamaica. “We are also privatizing the airport in Kingston; and the airport in Montego Bay has already been privatized, so you really will have quick connectivity between the port, the airport, and the road network. We have done significant work in upgrading the road network in Jamaica to the point where we now have proper, modern highways that allow connections between the different points in the country. Check out this handpicked feature on the Ministry of Finance and the Public Service, Jamaica.